Anthony co-founded GrabTaxi with his Harvard Business School classmate, Tan Hooi Ling, after their plan to revamp the Malaysian taxi industry won 2nd place in Harvard’s Business Plan Contest in 2011. Anthony kept hearing about the many problems plaguing this industry and these problems spurred Anthony to revamp the Malaysian taxi system. By introducing an aordable, mobile-based technology to both the supply (taxi drivers) and demand (passengers) sides of the 2-sided platform; GrabTaxi has truly improved the safety, speed and certainty of the taxi ecosystem. The taxi industry also holds a very special place in Anthony’s heart – his great grandfather was a taxi driver. 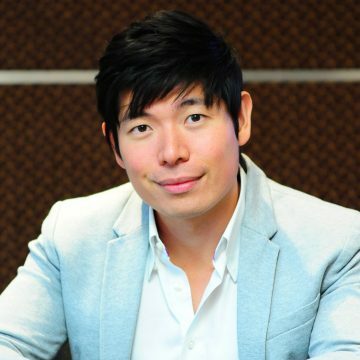 Combining the knowledge and skills developed from his previous roles in Lazard Freres (Analyst), Renault Paris (Strategy Marketing) and Tan Chong Group (Head of Marketing & Head of Group Supply Chain), he is actively involved in the expansion, marketing and product development plans for GrabTaxi in the region. His greatest satisfaction is seeing GrabTaxi change the daily lives of GrabTaxi’s customers and taxi drivers throughout the region.